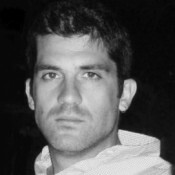 Minas Konstantinou is a research partner at the Cooper Union Institute for Sustainable Design. He received his Diploma in Architectural Engineering in 2009 from University of Patras and his Master of Architecture II from the City College of New York in 2011. He is currently researching buildings from the Modern Movement that contain contemporary principles of sustainability in their design. His study focuses specifically on buildings from the years 1930-1960 that incorporate effective use of natural light and airflow within the building space. His research will produce drawings for the upcoming exhibition entitled “Environmental Consideration in Early Modernism”. The exhibition will be based on sustainable design strategies developed by early-modern architects, especially in their use of natural lighting, ventilation, and green spaces, both indoors and out.